With a population of over 100,000, Eastbourne is located on the south coast of England in East Sussex. Renowned for its sunny weather, there is a great range of property available in Eastbourne, and at My Home Move Conveyancing we have been developing our knowledge of this local market since 2002, allowing us to deliver a specialist, fixed fee conveyancing service to our clients in the area. When buying or selling property in Eastbourne, it will be necessary to instruct a lawyer to carry out the legal work on your behalf. 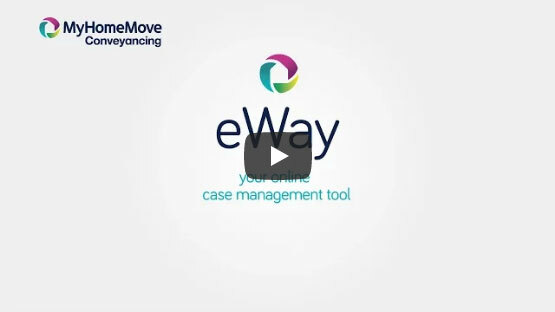 By choosing My Home Move Conveyancing as your Eastbourne conveyancers you’ll gain access to our award winning customer service, innovative use of technology and expertise in the local market. Our conveyancing service is fixed fee with no extra hidden costs, meaning you’ll know exactly what you’re paying from the outset. What’s more, if you don’t end up moving, you don’t pay us a thing. We assign a dedicated conveyancer to all our clients, who will look after your case from start to end, and provide you with regular updates on the progress. At My Home Move Conveyancing we provide our conveyancing services in Eastbourne to homebuyers across the local area, from those looking to be in the town itself to other surrounding spots such as Meads and Roselands. The average house price in East Sussex is £215,695, while in Eastbourne the overall average sale price during the past year was £231,861. Flats were very popular during this period, selling in high numbers for an average price of £172,381. Terraces averaged at £226,513, while detached and semi-detached properties sold a virtually identical amount, fetching £357,919 and £249,247 respectively. Eastbourne can point to Stone Age artefacts and Roman occupation as part of its long history, in addition to its reputation as a lovely seaside resort. Tourism is still a major part of the town’s economy, while the population continues to rise at a decent rate. The average age of residents is coming down as families, student and commuters to both London and Brighton decide that Eastbourne is the place for them. To this end there are trains that take around half an hour to reach Brighton, while it’s an extra 45 minutes or so to get to the capital. The A27 lies to the north of Eastbourne, linking the town with other south coast spots such as Brighton and Portsmouth. The A22 meanwhile can be used to head north to the M25 ring road, while Gatwick Airport is located less than 50 miles away - this journey can be done in under an hour by train. There are some very good schools in the area to add further value for families with children; primary options include Shinewater Primary on Milfoil Drive, Langney Primary and St John’s Meads CofE. Willingdon Community School, the Causeway School and the Eastbourne Academy on Brodrick Road are among the secondary choices. All properties in Eastbourne will fall within one of the following council tax bands.